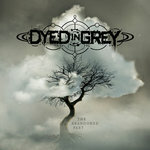 Dyed in Grey is a very heavy prog band who are starting to make some major waves on the international scene. Their new album The Abandoned Part is a spiralling and magical journey that sweeps the listener off their feet and inundates them in waves of prog magic. Very much in the vein of Opeth or even Between the Buried and Me Dyed in Grey show a future for prog after djent. A potential filled and epic record this album should appeal to many fans of modern metal as well as fans of prog in general. These 9 tracks carry a lot of power and they show a band ready to carry the genre into a new realm. What I especially love about this record is the mix of cleans and growls. It gives the music a taste of solid metalcore, reminiscent of groups like Killswitch Engage. The end result is a beautiful record filled with intricate melodic lines that craft fascinating soundscapes that engage the listener and wash them with layer of rich harmony and strange rhythms. The mix of light and dark is especially impressive and helps to give the music a distinctive flavor. In short, Dyed in Grey show that they know who they are and what they want to do on The Abandoned Part it is an album that threatens to upend the scene. So, if you're looking for the cutting edge of modern prog Dyed in Grey seem to be it. Their sound has nice touches of djent but seems to be so much more with ambient soundscapes and highly technical songs. I love the way the pieces are set up, they are simply engaging, keeping the listener on the edge of their seat for their entire duration. Suffice to say, I'm looking forward to hearing more of Dyed in Grey in the future and as for now The Abandoned Part should satisfy even the snobbiest of prog fans. Big things seem to be coming for this group, the future should be bright!